Finding the right Auckland cleaning company for you begins with selecting the right cleaning service for you. Cleaning Quotes understands the importance of understanding your specific needs and service requirements to ensure that we find the appropriate cleaning company for you. We will work closely with you to ensure that your specific cleaning requirements are identified and then matched with up to three independent local Auckland cleaners. Perhaps you require a regular domestic cleaner. Cleaning Quotes will help you find local cleaners in Auckland without having to spend many hours completing multiple enquiry and contact forms and also making a ton of phone calls. You can get obligation free quotes from up to three cleaners who will contact you directly. If you need a regular house cleaner or perhaps a once off spring clean then we can help you find the right cleaner who meets your individual requirements and fits your budget. Every household and business in Auckland needs to be kept clean and whilst many will try to do the cleaning themselves the vast majority are now turning to the professionals to assist with their domestic and commercial cleaning needs. If you love being well organised but just can't seem to get there, engaging the service professional cleaner can set you firmly on the right path. Professional cleaners will not only help with the cleaning but can assist with wardrobe, files, kitchens, store rooms, garages, garden sheds, entire houses, offices and businesses. How can your cleaner help you? Cleaners are flexible and work in various ways. 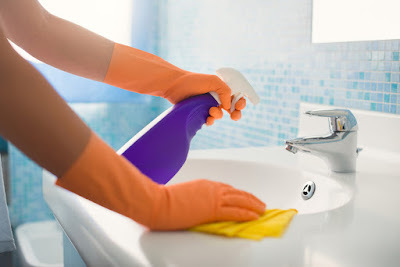 They may setup a regular cleaning schedule to maintain and stay on top of the cleaning duties or they may make a plan and leave you to carry it out, work with you for as long as you like or even do a one-off clean for you. Charges will vary depending on the nature of the job and experience of the cleaner. Prices will also vary from depending on your location and after the initial visit the cleaner will provide you with a quotation depending on how long the job will take and the services required. Always focus on the benefits of cleaning, as there are many. A feeling of being in control instead of out of control. Renewed pride in your environment. More and better time with your family. A more active social life. If you hate cleaning and organising, why not try to change your attitude? Look for the beauty and value in those activities. Yogis have long taught the value of doing simply chores such as cleaning. They describe the benefits of 'karma yoga', or being in a meditative state of awareness as you clean or garden as being calming, focusing and centering. The idea is to let go of your mental clutter. Even without the yoga philosophy, cleaning can help you to be more serene. If you're under a lot of stress, doing something mundane and methodical, such as cleaning, can often be very therapeutic and calming. It's a back-to-basics kind of feeling. Alternatively, you can leave the cleaning to the experts and get three free quotes from trusted and accredited cleaners today from Cleaning Quotes. There is simply no cleaning service that we are unable to service your request for. Please contact us today to find the right cleaning service for you.